LAS VEGAS – MARCH 28, 2018 – To honor those lost or affected by the tragic events of 1 October, Nathan Adelson Hospice, Southern Nevada’s largest non-profit hospice organization, will host a free, commemorative butterfly release ceremony at 2 p.m. Sunday, April 8 at the Las Vegas Community Healing Garden, highlighted by a special performance by country music legend, Collin Raye. Raye, who had 16 number one hits and 24 top ten records, including “Love, Me,” will perform as 900 butterflies are released, representing the number of victims and families directly affected by the tragedy. 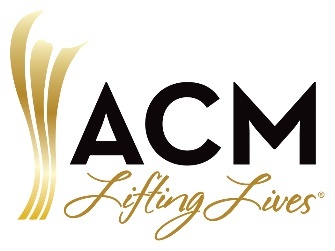 The event is presented by Nathan Adelson Hospice in conjunction with The Community Foundation of Middle Tennessee, The City of Las Vegas and Get Outdoors Nevada, the Academy of Country Music’s® philanthropic arm ACM Lifting Lives® and Music City Cares Fund. The special tribute will feature a short, nondenominational ceremony, remarks by Las Vegas Mayor Carolyn Goodman. Not only does the special event bring together multiple partners to provide an inspirational and uplifting message to a still-healing Las Vegas, but to the many other communities devastated by the tragedy. Along with citizens and visitors from many states and countries, the country music community was shocked and wants to continue to help keep #vegasstrong. The Las Vegas Community Healing Garden, established shortly after the event, is located at 1015 S. Casino Center Boulevard. Free parking is available. Due to the sensitive nature of the butterflies, they will be released promptly at 2:30 pm. The Community Foundation exists to promote and facilitate giving in the 40 counties of Middle Tennessee and beyond. It does this by accepting gifts of any size from anyone at any time and by empowering individuals, families, companies, nonprofits, and communities to respond to needs and opportunities that matter. The Community Foundation works with people who have great hearts, whether or not they have great wealth, to craft solutions that reflect their intentions and goals. For more information, visit www.cfmt.org.